Extra heavy concentrated crushed is a non-standardized product. It is prepared from fresh picked round or pear tomatoes that have been washed and inspected prior to being chopped, strained and evaporated. Made from fresh California, vine ripened tomatoes. Excellent Color, A.K.A. 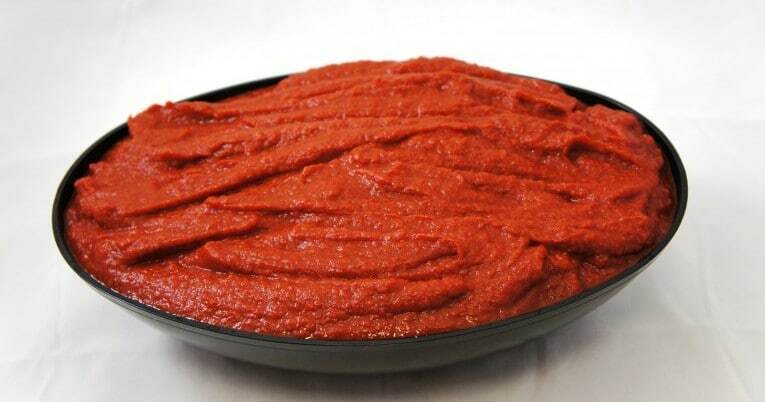 Plain Pizza Sauce. Sweet flavor. Provides a nice base for scratch pizza makers. Pizza Sauce Base, Cioppino, Red Sauces.